What Does the NRA Even Do? 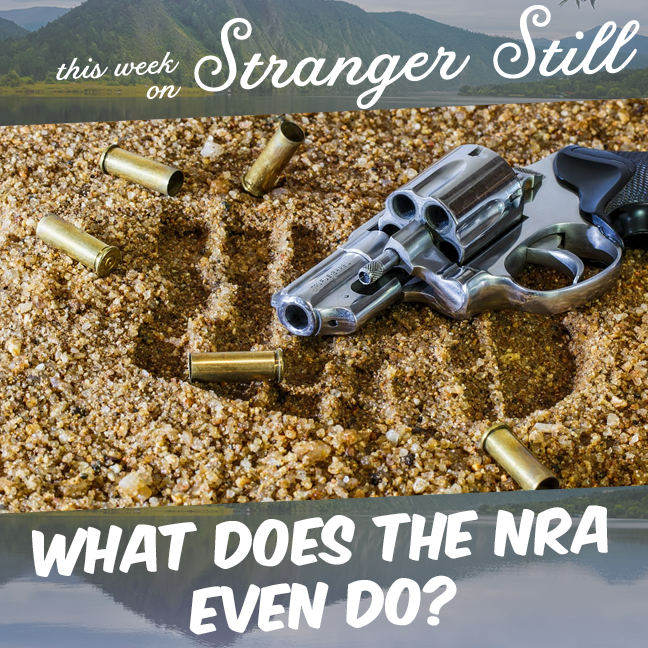 In this week’s episode, we explore, “What does the NRA even do?” The NRA has been around since 1871, but have they always been the huge political players they are now? Join us in another rage inducing episode as we try to figure out why the NRA even exists. Stranger Shorties: Historical Figures That Might Not Have Existed. What’s Thanksgiving Like Around the World?